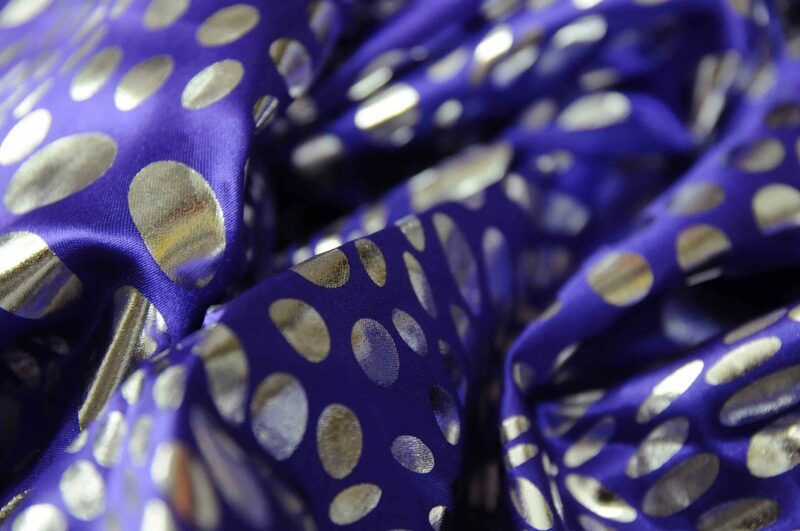 Metallic fabric for the opening curtains, sequin sparkle for the background or lightweight lurex for draping. 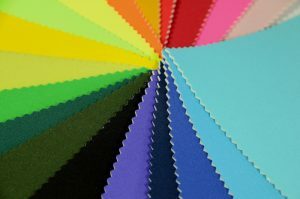 We can provide plenty of bling to dazzle the audience. 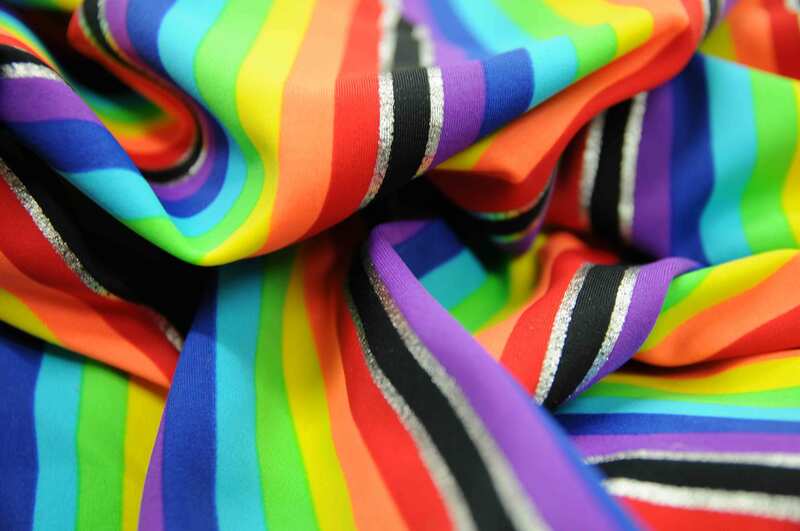 Our all over sewn sequin fabric measures 137 cm wide and and just £6.99 per metre. 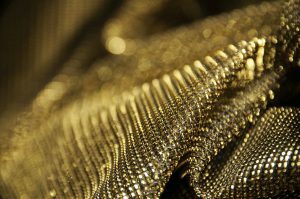 Gold and silver stretch sheer lurex is great for draping, it has a good stretch to it too so you can really make the most from our £4.99 per metre metallic sparkle. Pantomime costumes need to stand out, literally. And Neoprene fabric is perfect for creating exaggerated sculptural designs. 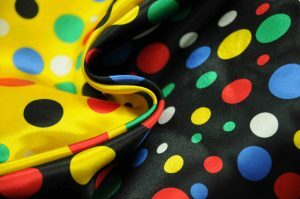 Huge pantomime Dame costumes often use neoprene to make the large circular expanse of skirts and crazy additions. 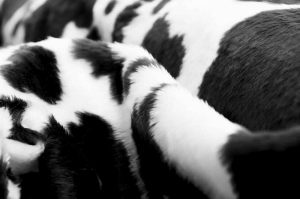 There is always an animal involved in a pantomime, depending on the story. Or sometimes they just turn up, because its expected. And its usually a cow. Whatever the animal used, as with all things pantomime the costume has to be totally exaggerated so no realistic fur here. Cartoon style faux fur is the best choice for your pantomime animals. 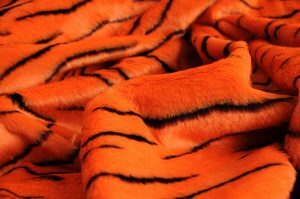 We have some very orange tiger stripe, great for the tiger in Aladdin. 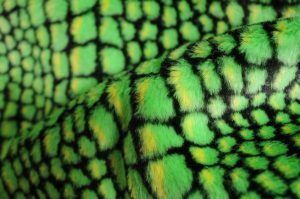 Bright green crocodile fur ( fur? on a crocodile!) Snap it up for the tick tocking crocodile in Peter Pan. This is just a little peep at the massive amount of pantomime possibilities we have in store. Come on over to our Birmingham store to have a chat about your performance or play, I’m sure we can help.